Book Templates - For PDF upload method. Below are templates, if you want to design PDF-Ready-Books. Choose between the WORD or INDESIGN templates. The book sizes and margins are included. Once your file is completed save your PDF, login and upload your PDF file. Note, If you are unable to select the same paper size as your finished book size in your software, you can use the chart below to scale down an 8.5 x 11 piece of paper to the size of book you want to print. 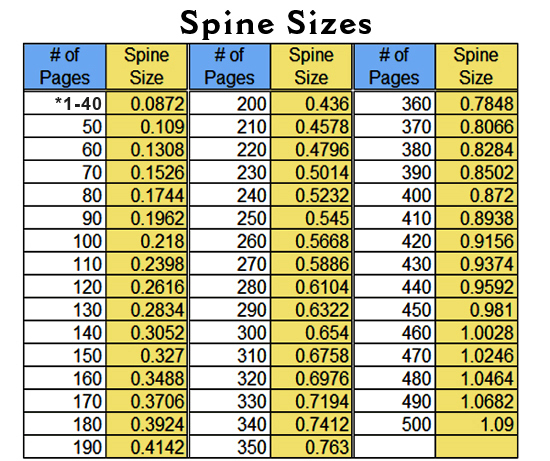 Set your document size to 8.5 x 11 inches, and then apply the appropriate margin settings from the table below. *Note, to use these templates please right click, on the text links and save ["save target as"] to your desktop (if you have Windows). If you have MAC just click and the templates will be saved to your desktop. Then open the templates from your desktop. Please provide all cover files as .TIFF, .EPS or .PDF files in CMYK colors at 300 dpi. If you are trying to match colors please use the pantone uncoated numbers and submit those numbers with your order and take the proof option for color matching. Custom sizes and bleeds available, you will be charged for the next size up on the pricing calculator and you will be responsible for layout of your special sizes. Books, Cookbooks, Photobooks, Calendars, Photo Gifts, and almost any type of printed materials are printed by PhotoGalley - a book publishing company. Many companies offer book creation on-line, but there are only a handful that actually offer book creation on-line and printing services. We offer both "You Create & We Print!" Read more about PhotoGalley, specializing in fundraising and publishing cookbooks, InstantPublisher, specializing in book publishing, and FamilyMemories creating and printing professionally bound photo books. Now experience "You Create & We Print" with PhotoGalley.